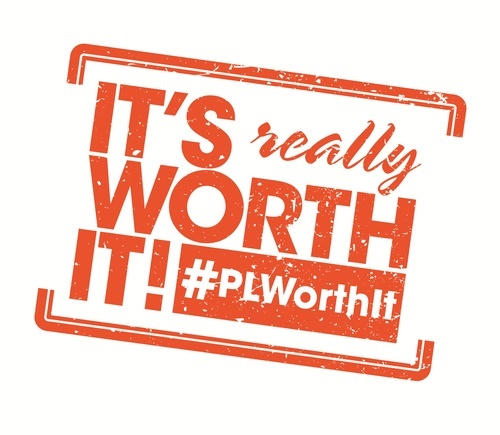 The first one will be Thursday, May 9 from 5-10 pm. The HOP On buses will pick you up and drop you off at the next location. The buses will continue to go around the route. 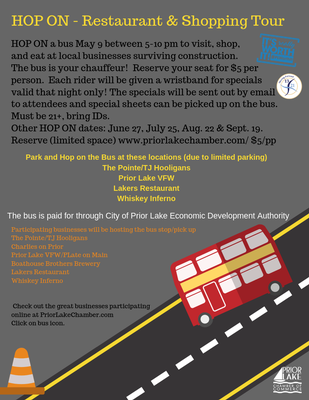 Upon entering the HOP On bus, you will be given a wristband and a list of businesses participating and their specials for that night only. Drinks Specials and Food specials are for wristband holders only.